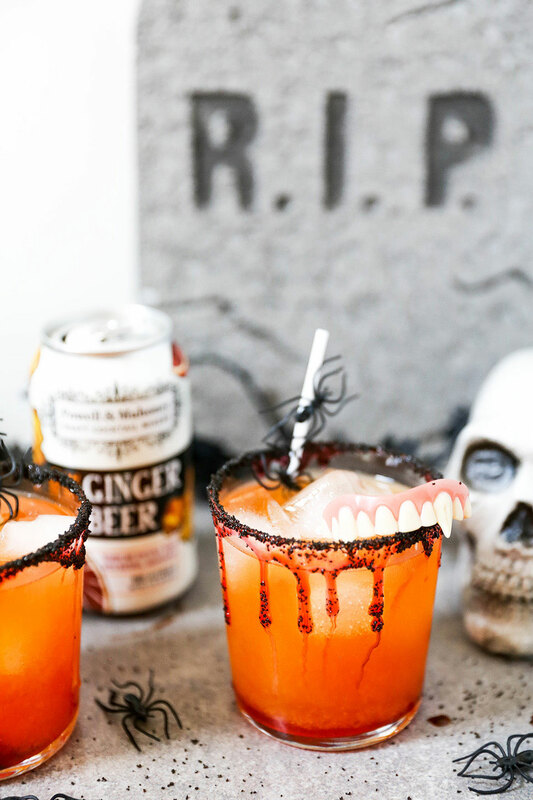 A ginger beer Halloween cocktail your guests are sure to dig! First, mix about a tablespoon of honey with a couple drops of red food coloring. Pour the colored honey onto a small plate. Then invert your glasses into the colored honey, rotating the glasses to coat the rims evenly all the way around. Spread about a tablespoon of the black sugar crystals onto a second small plate. Then press the honey-coated rims of your glasses into the sugar. Add fresh ice cubes to your prepared glasses. Then divide the Campari between the two glasses. Combine the orange juice, apple cider and bourbon. Then slowly pour this into your glasses over the Campari, dividing it evenly between the two glasses and being careful not to disturb the bottom layer. 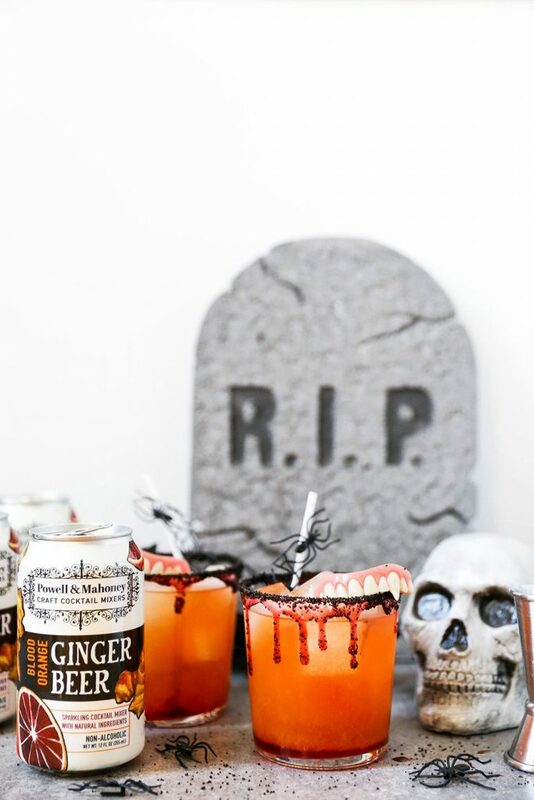 Top each glass with a couple ounces of P&M Blood Orange Ginger Beer. 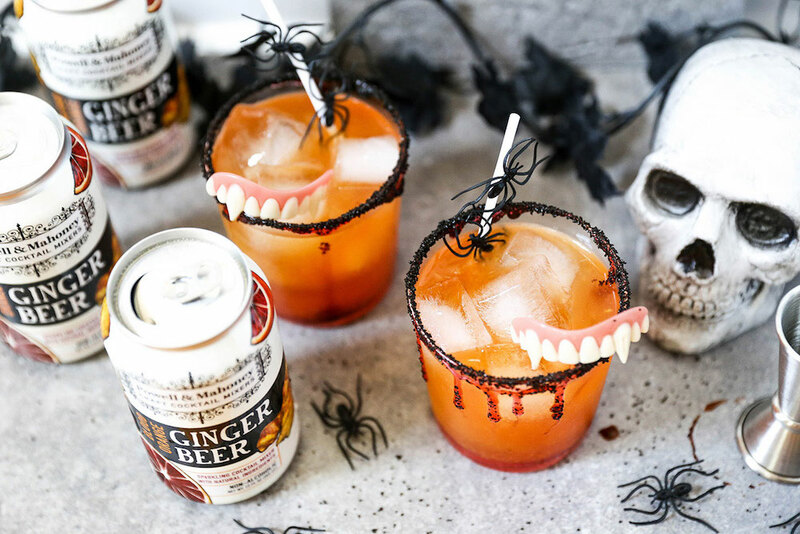 Decorate your glasses as desired with plastic spiders, vampire teeth, etc. Serve immediately. Stir to combine before drinking.